In 1987, NDTOA established the Mr. 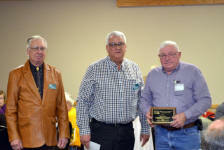 Township Award which was dedicated to the founder of our organization – Hank Weber of Casselton, North Dakota. The name of the award was later changed to the Grassroots Leadership Award to recognize the many female township officers in our state. This award was presented to a township officer who, through his or her actions, had served their township, their community and/or their state with exceptional service. The first recipient was Jim Braaten from Crary, Ramsey County, in 1987. Click here to see all past Mr. Township/Grassroots Leadership Award recipients. Rodney Johnson of Epping, ND has served on the Brooklyn Township board for over 40 years, many of those years as clerk and treasurer. He has served the Williams County Township Association as its secretary. He has been a faithful participant at the NDTOA annual conventions for many years. 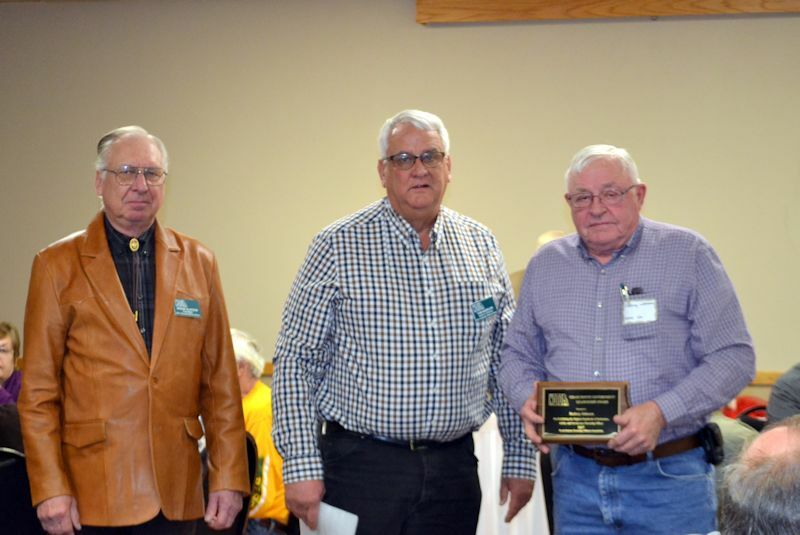 He has been a dedicated Township official for those many years, always an active advocate for townships in North Dakota while participating in meetings at the county and state level. When the oil boom hit western North Dakota, Townships were faced with unique hardships with roads that simply were not built to handle the heavy traffic and maintenance was not possible with existing budgets. Rod worked tirelessly and diligently to ensure that Brooklyn Township got qualified for all possible grants to help them maintain safe and usable roads. He has been an advocate for townships in northwest North Dakota seeking to make sure that funding was allocated to help face the hardships of deteriorating roads with minimal budgets through the peak of the oil activity. Congratulations Rodney and thank you for the many years of service to Brooklyn Township! 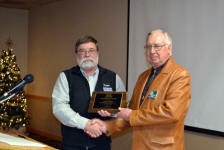 Curtis Hemstad; For 42 years of distinguished service on behalf of Idaho Township in Mountrail county. Legislative success requires friends in the legislative arena. This award program was established to reward, on an annual basis, one of those legislators who have been of great help to the NDTOA. These awards are given at the annual meeting awards banquet. Each winner has a chance to be recognized in the presence of as many township officers as are assembled at the annual meeting and convention. 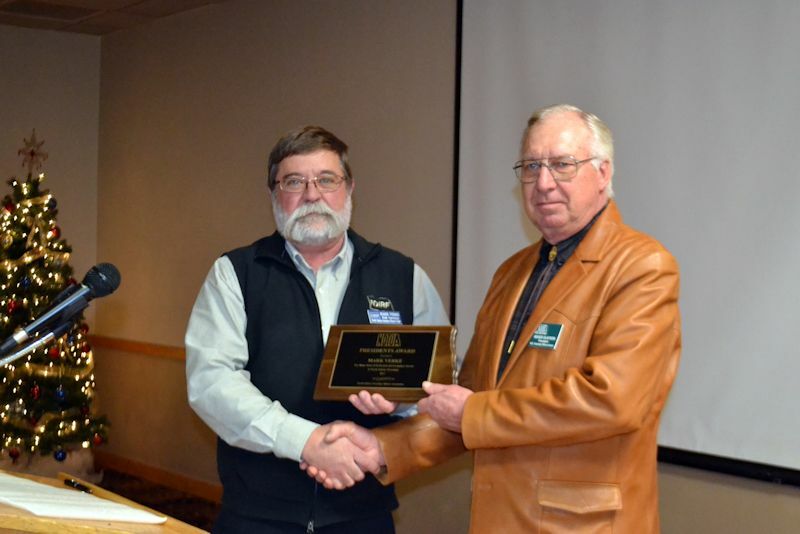 The award recipient is given a plaque and are invited to address the NDTOA membership. The qualifications to receive this award depend on if the legislator has been a repeated sponsor, co-sponsor or defended in committee or on the floor of their house, township endorsed bills. Senator David O’Connell, a township officer from the Lansford area, was the first award winner. Click here to see all past Legislator of the Year recipients. 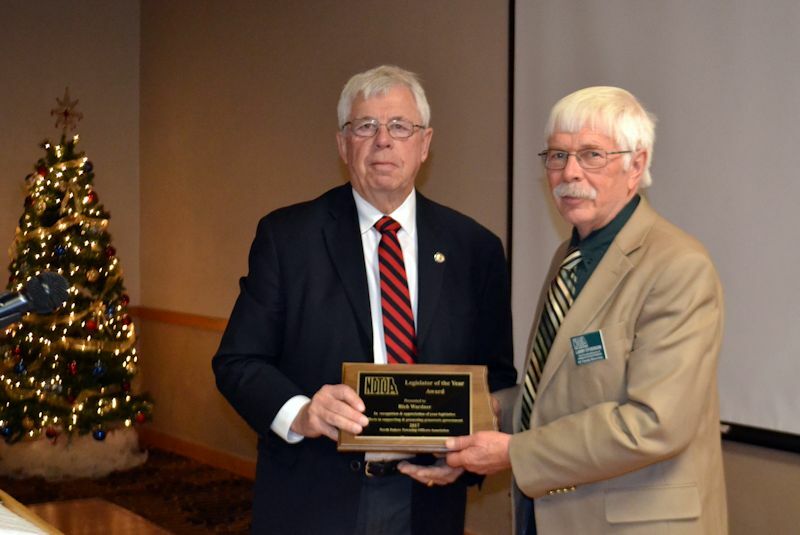 Senator Rich Wardner of Dickinson was named NDTOA Legislator of the Year for 2017 in recognition and appreciation of his long time support of Townships. Senator Wardner served in the House from 1991 to 1998 and has been in the Senate since 1999; President Pro Tempore of the Senate for the 62nd Session; Senate Majority Leader since the 63rd Session. He is a retired educator with a BS from DSU and a MS from Northern State University. He and his wife Kayleen have two children. 2016 Senator Terry Wanzek, District 29, Jamestown - Senator Wanzek serves on the Senate Appropriations Committee. 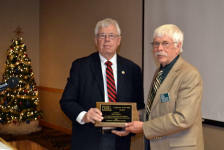 For recognition of his work to support rural transportation. Senator Wanzek has been instrumental in securing the state grants that townships have received in past sessions. In 2016, the NDTOA Board of Directors created the President's Award as a way to recognize exemplary contribution by individuals that are not elected officials. Willie Huot, Grand Forks, was the first award winner. Click here to see all past Presidents Award recipients. Mark Verke, Risk Management Specialist with the North Dakota Insurance Reserve Fund, was the recipient of the 2017 NDTOA President’s Award. (Pictured with President Olafson.) The President’s Award is given each year to someone that is not a Township Officer in recognition of outstanding service to Townships. Mark has been an indispensable part of our education program, from the planning of the workshop tour to physically hauling the updated handbooks into the workshops, lining up meeting halls, helping set up our gear, making presentations to the members at workshops and county meetings and answering questions from individual townships. He helps Township Officers do their job right, reduces the risk and keeps premiums down. 2016: Willie Huot, Grand Forks For his service and assistance to townships. 2015 Victor Thomas, East Fork Township, Benson County. 2014 Representative Michael Brandenburg, District 28, Edgeley.